Costs – See how much tree owners in Mobile, Alabama pay for tree services including removal, cutting and stump grinding. FAQs – Find out which trees thrive in the area and which don’t, along with current regulations and diseases to know about before you plant. Services – Find a local arborist in the Mobile area now! How Much Do Tree Services Cost in Mobile? The cost of regular tree maintenance such as removing dead branches, pruning and yearly fertilization in Mobile, Alabama depends on the type and size of the trees on your property. Trees may also need to be treated for infestations of certain insects or other invasive species. Additionally, trees may need to be removed or relocated. Learn more about these local costs for Mobile. Tree removal in Mobile costs an average of $710 and ranges from $390 to $1,240 per tree. Most homeowners spend $600 to $800. Tree removal is often necessary if a tree has been attacked by an invasive species in order to prevent the creatures from spreading to other trees. In addition, trees that have been badly damaged can be a hazard if they fall, so it is important to remove them quickly. In Mobile, stump removal labor costs depend on the size of the tree stump. A medium tree stump grinding job is expected to take about two hours and can cost between $70 and $140. Grinding a large stump is slightly more labor-intensive and may cost between $80 and $150. Pruning and trimming trees is often done at least once a year to encourage fuller growth of shrub-like trees and to contain large branches. Some people like to have their trees shaped for aesthetic purposes as well. The average cost of trimming and pruning in Mobile is $580, with most homeowners paying between $450 and $700. Homeowners reported a minimum cost of $100 and a maximum cost of about $1,000. Mobile is a beautiful city famous for its quiet, tree-lined streets, oaks and other native trees. Mobile residents take great pride in their trees and love to keep them looking beautiful. With the area’s warm climate and temperate weather, it is no surprise that trees grow big and beautiful in Mobile. Mobile requires a permit to remove trees from properties in a historic district, an R-1 undeveloped property and an R-3 business built after 1992. A permit is also required for removing trees from properties under Board of Adjustment or Planning Commission decisions. A permit can be obtained by applying through the city; this permit will specify which trees may be removed and what must be done with the trunks and limbs after removal. Trees cause about 20 percent of all power outages, so growing them near power lines is not advised. Instead, try to plant trees away from power lines. If they do grow near the lines, the power company may cut the limbs away without notifying you. 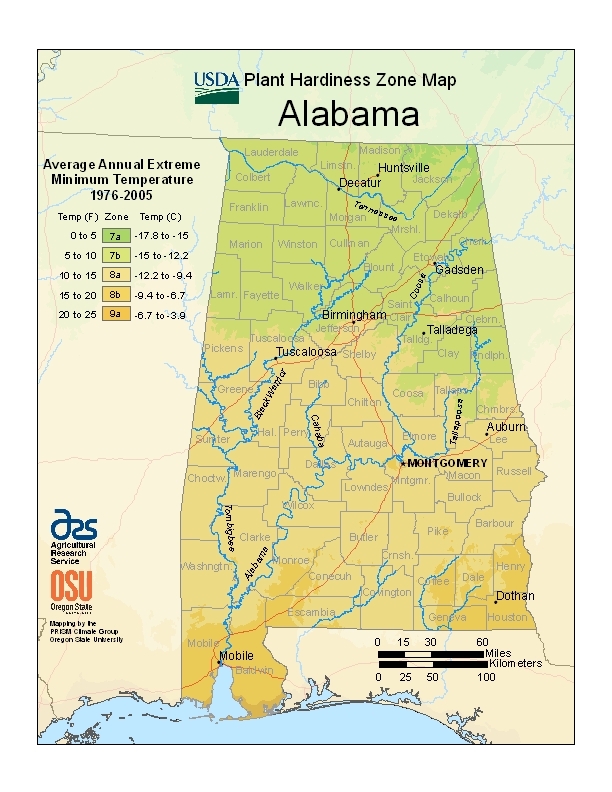 Mobile’s winters are short and mild, but it is best to remove trees between November and January. This is the time when most trees are relatively dormant and will withstand trimming or limb removal. It is also when sap is least likely to be flowing, making removal simpler. Ideally, tree removal should be done when plants around the tree are also dormant so that they are not damaged during the process. The Alabama state tree is the longleaf pine. This majestic evergreen grows throughout most of the state and has beautiful needles and cones year-round. 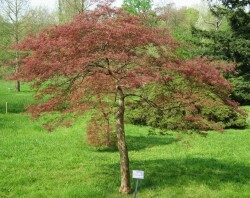 Some of the tallest trees in Mobile are the Japanese maples, a late introduction that grows up to 30 feet. In the fall, the leaves of these towering trees turn a deep red that is almost purple. The shortest trees in Mobile may be the Japanese plum trees, which are a tiny variety that can stop growing after three feet. European fan palm tree, or Chamaerops humilis – This beautiful, tiny palm can be spotted all over the city, particularly in courtyards next to stucco homes. It lends a tropical air to the city by the Gulf. Eastern cottonwood, or Populus deltoides – Cottonwoods can be found anywhere in Mobile. 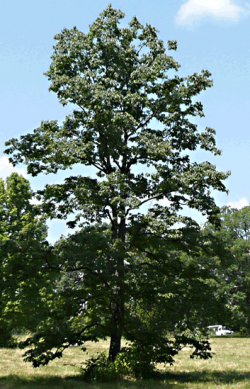 They are one of the most common trees in the state of Alabama. Common persimmon, or Diospyros virginiana – This fruit-bearing tree presents loads of golden fruits throughout Mobile every year. The fruits are picked and preserved in the fall. Trees in Mobile may suffer from some common diseases including amarilla root rot, leaf spot and slime flux. It is important to ensure that your trees are treated regularly for infestations and to prevent disease. The non-native trees are the most difficult to maintain. This includes banana and other tropical trees as well as spruces and other trees that thrive in cold weather. Native plants have developed not only resistance to predators such as insects but also resistance to common diseases of the area, making them hardier and easier to maintain. Homeowners are encouraged to research trees before investing in one to avoid making an expensive mistake. However, any tree can be grown in the proper conditions.